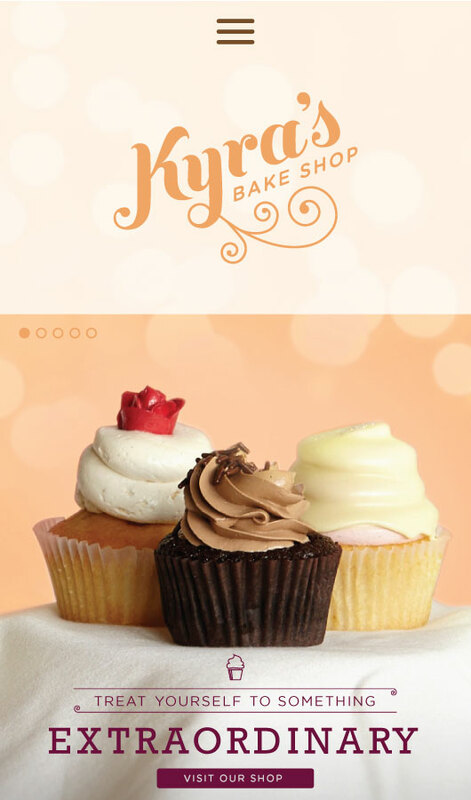 For Kyra’s Bakeshop we wanted to create an identity that drew from Kyra Bussanich’s own vibrant personality. 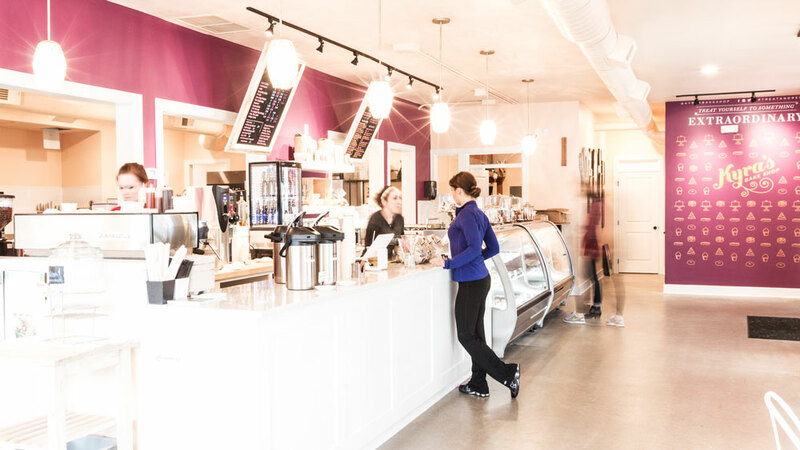 We created a mark that was both feminine and bold. 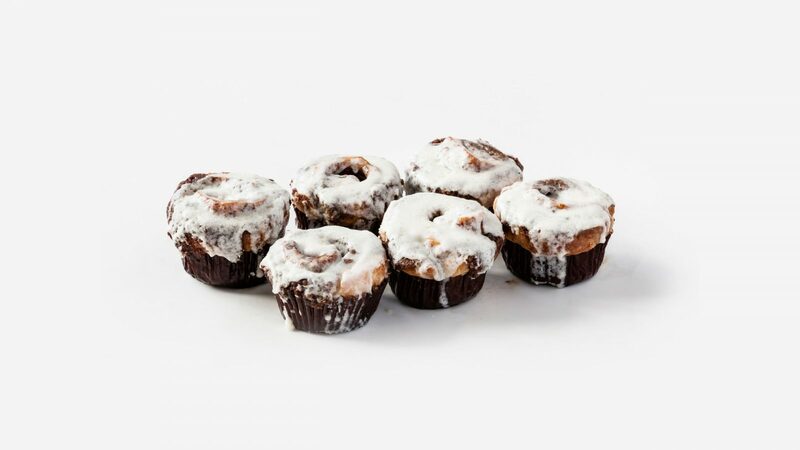 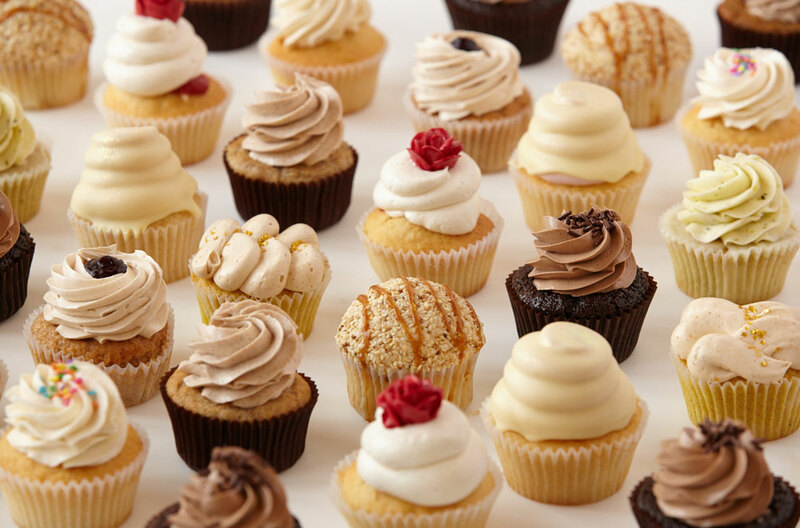 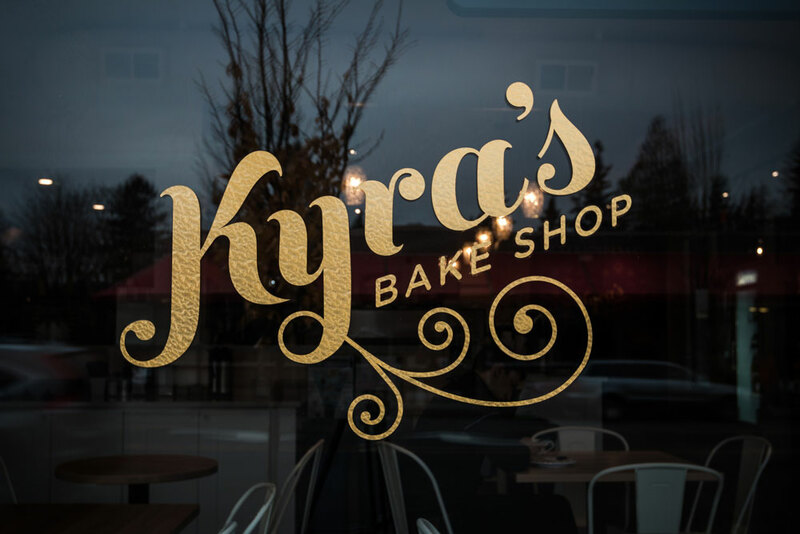 Kyra’s is a bakery founded by Kyra Bussanich, known for her multiple appearances on Cupcake Wars and for being the only contestant to win 4 times with gluten-free cupcakes. 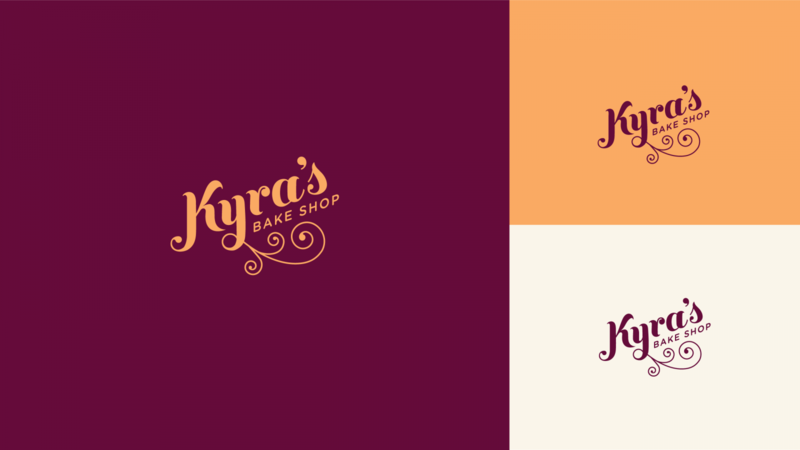 In designing the Kyra’s Bakeshop logo, we played with classic 1950’s bakery aesthetics in combination with more modern motifs. 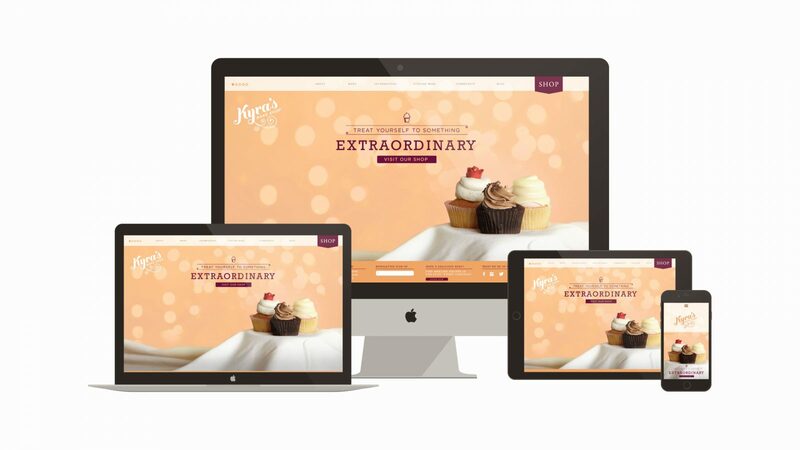 We wanted to create an identity that was both feminine and bold. 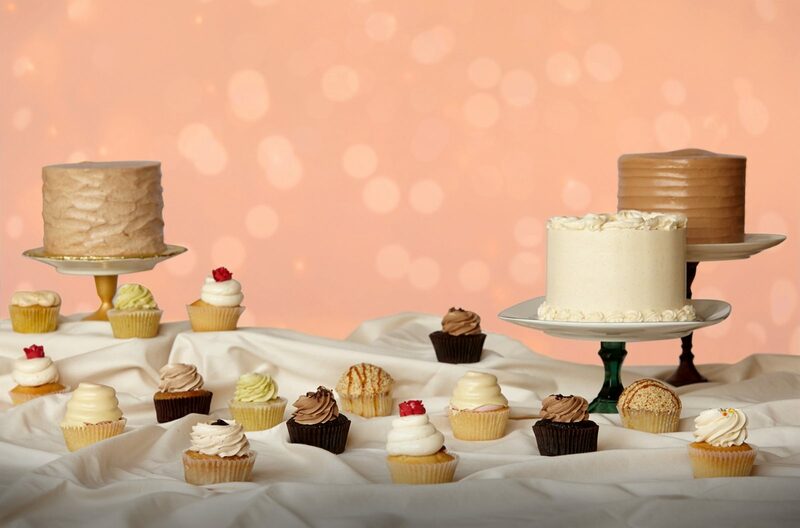 We chose colors that were bright and appetizing: a cantaloupe orange and dark boysenberry purple. 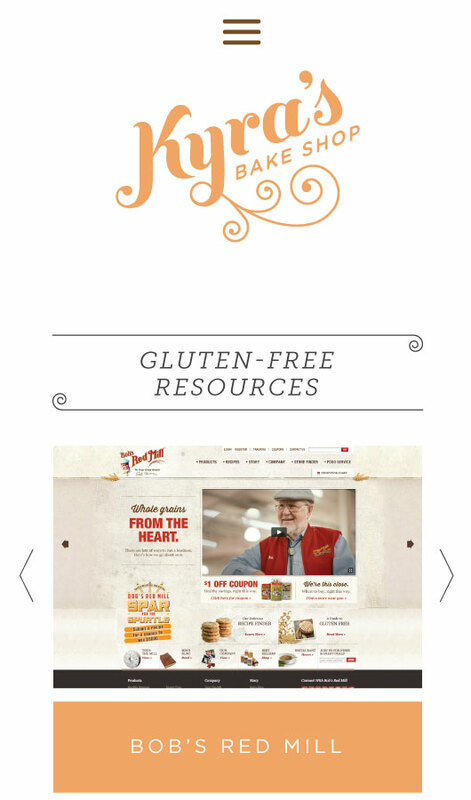 In addition, we created a playful icon set that was used in the informational hierarchy of the website. 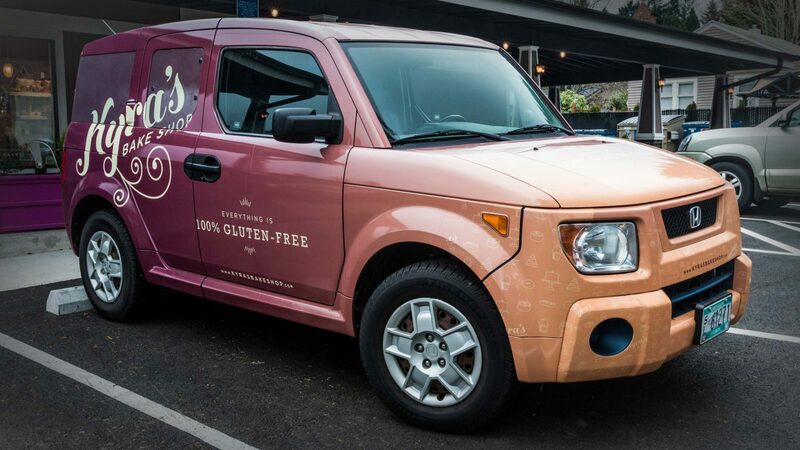 Later we used this same icon set as a wallpaper pattern that was used in various materials including vinyl signs, and the car-wrap of the bakeshop’s Honda Element. 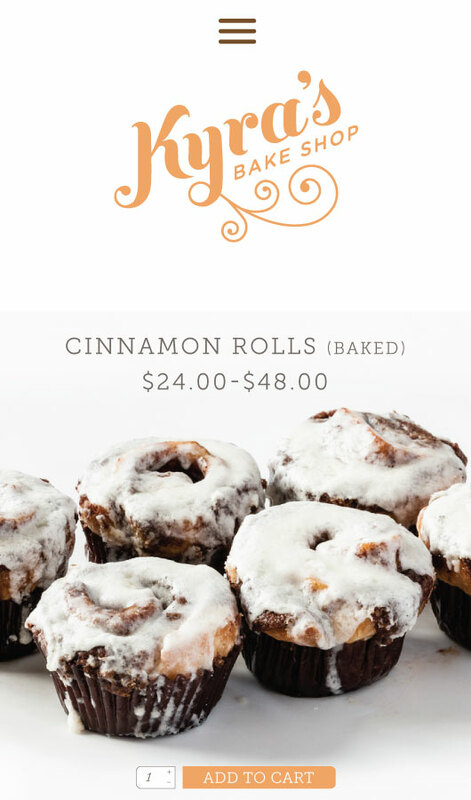 We also did custom food photography, created in-store signage and business cards, and built a custom, responsive WordPress website.